In all the financial pressure you feel to plan for the future, have you ever stopped to consider, fundamentally, what is savings? Often the answer is in asking the right questions. Concerning great questions, this is one that will behoove you to ask, understand, and answer that question for yourself. Savings. We love having it. We know we need it. Everybody wants more of it. Savings is a precept of wealth-building. It’s a foundational cornerstone and precursor to success in almost every other area of your financial life. And yet, frankly, the savings levels of American adults are embarrassing. Most people’s savings accounts languish far beneath the level of what they want to have. According to a 2016 GOBankingRates survey, 34% of all adults in the U.S. have $0 in savings, 35% have less than $1000, and ONLY 15% have $10,000 or more. There’s a disparity between our desire to save and the amount we have in savings. For that reason, our mindset about savings becomes laden with guilt. To add insult to injury, there’s confusion about what savings, in fact, is. Building a stockpile of savings is to help you weather months of tight income or unforeseen expenses will move you light years ahead towards peace of mind and financial stability. But it’s just one small step of a greater journey of building time and money freedom. Then, you’ll protect your money with savings, insurance and legal protection. Here, you’ll create the right canopy of protection in your financial life. 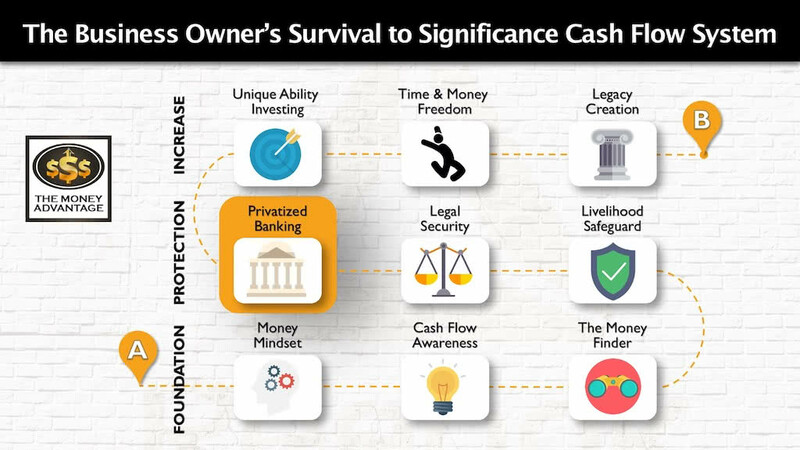 This second stage encompasses all aspects of Privatized Banking, a key savings and capital deployment strategy that secures your access to capital, maximizing your control, by allowing you to be your own banker. To clear the air and help you save more, let’s get down to brass tacks. What is savings and what is it not? How do I know if it’s savings? What are the best places to save money? And we’ll share the four top reasons why people aren’t saving, to help you overcome them and set you on a course to financial confidence and freedom. The foundations are the most important pieces to get right. Whether you have significant savings and are looking for a better storage tank, want to beef up your savings, or if you’re just getting started, this discussion will help you get the clarity you need to up-level your savings. 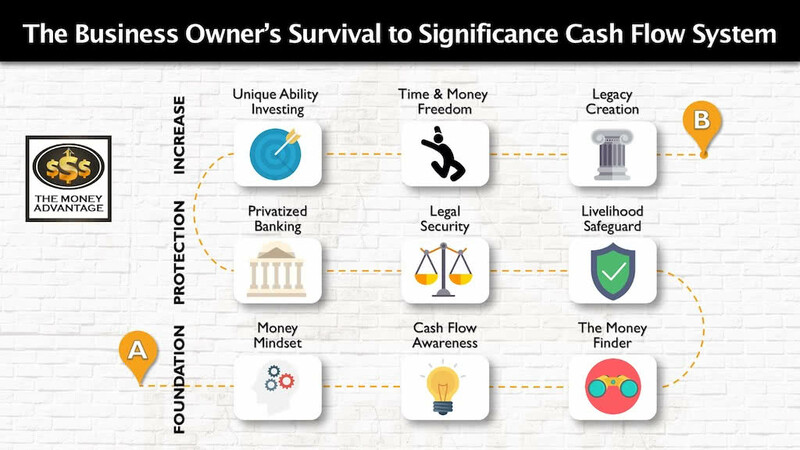 In Why the Wealthy Love Cash (Savings) Part 1 and Why the Wealthy Love Cash Part 2, we discussed the reasons the wealthy save: to create confidence and peace of mind, to sleep better at night, and to have the liquidity to jump into the right opportunities. In How to Save Like the Wealthy, we discussed how to design a system for managing the flow of your money that builds an emergency and opportunity fund and puts you in control. In this article, we’ll bring you 100% clarity on what savings is. Firstly, let’s start with your definition of savings. What does it mean to you? Write down your thoughts before you proceed, and we’ll revisit them at the end. Notice any ambiguity in your thinking. If you asked a roomful of people to answer the question, “What is savings?”, chances are, you’d get a handful of different responses. Some might say it’s having money left over each month after your spending. Another might say it’s their retirement account. Another may say savings is their savings account, an emergency fund, or a rainy-day fund. Even the all-knowing Google or dictionary definition will yield many answers, but not give clarity on what it means financially and what to do about it. This haziness makes it challenging to move the needle from “a nice idea” to something that’s concretely and habitually built into the fabric of your life. The excess of income over consumption expenditures, money put by. The first step in saving is to have monthly cash flow, which is money not spent. Cash flow is the difference between your income and your expenses. You can also call it profit or surplus. To have money to “put by,” you would have to spend less than you earn. Said another way, to save, start with cash flow. If there’s no gap between income and expenses, there’s no money to save. If your lifestyle regularly consumes your income, you’ll feel strapped each month. 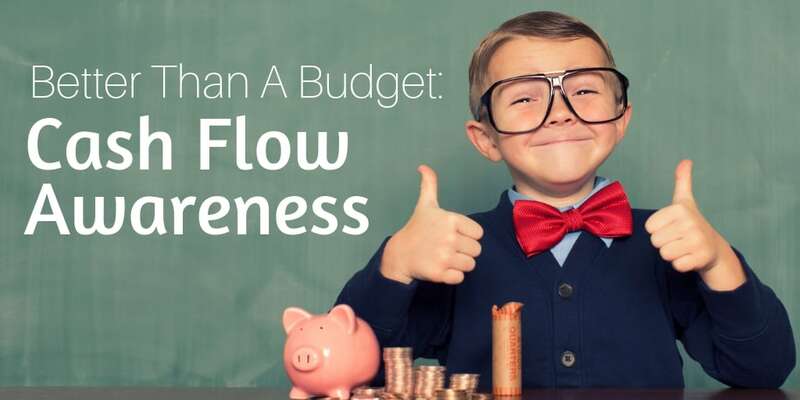 To have more cash flow, you must increase income, or lower your expenses each month. Parkinson’s Law describes this natural human tendency to spend everything you make. With rising income, most people don’t feel any freer, because of the corresponding rise in lifestyle expenses. An ideal lifestyle consumes no more than 70 – 80% of income, leaving a 20 – 30% or greater balance as free cash flow to save. If your lifestyle is incongruent with your level of income, you must overcome Parkinson’s Law to build a savings habit. A less obvious reason people spend everything they make is that they are using financial strategies that shrink their monthly cash flow and take money out of their control. In either case, increasing your cash flow requires viewing your financial decisions through the lens of what increases the money in your control. Once you’ve increased your cash flow, the next question becomes: what do I do with my cash flow? Remember the objective of savings is to build up an Emergency/Opportunity Fund we can use. Let’s break that down in practical terms by looking at the noun of savings – the thing of what savings is. The #1 differentiator between whether something is savings or whether it’s not is safety. Safety means the dollar value is secure, protected from dropping in value, and has no chance of loss. When your asset has that type of safety, it’s savings. The opposite of safety is risk. Risk simply means the chance of loss. The higher the risk, the higher the potential for loss. The rule of thumb is this: if the account can lose value, it’s not savings, it’s an investment. Savings and investments are two distinctively different tasks we assign to our money. 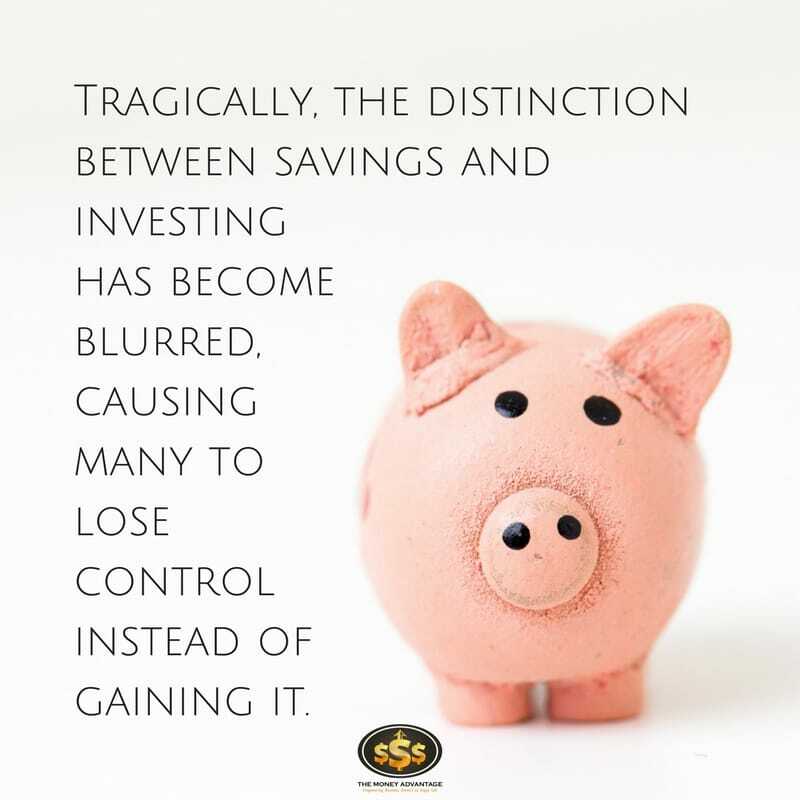 Tragically, the distinction between savings and investing has become blurred, causing many to lose control instead of gaining it. Savings are a store of cash reserves to use for emergencies or opportunities. To use your Emergency/Opportunity fund, you must be able to depend on the future value and have access to your capital. When you’re in the ready position of having capital reserves at your disposal, you’re always prepared for emergencies and opportunities. However, investments either grow your money or produce cash flow. While investments have the potential for gains, they also have the potential for loss. Any time you put your money into investments, there’s the possibility that your asset may lose value. Investments inherently hold risk, because there’s always an element that’s outside your realm of control. While you can mitigate your risk by investing in assets that you know and control, investments like stocks, securities, real estate, and businesses have the potential for factors outside your control to reduce the value of the asset. Many people put money into retirement accounts like 401(k)s and 403(b)s via automatic payroll deductions, thinking they are saving for retirement. 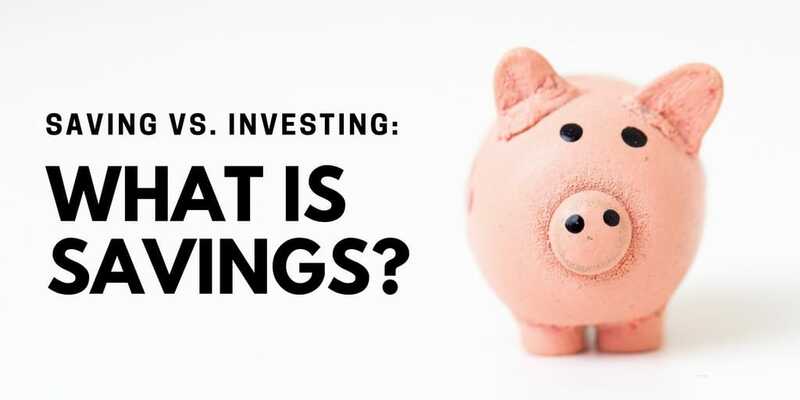 In reality, because their money is often invested in mutual funds holding securities that have risk and fluctuate with the value of the stock market, they are investing for retirement, rather than saving. The ability for a stock market crash like 2008 to wipe out half of people’s “savings,” exposes this strategy as an investment strategy, rather than a savings plan. To build savings, place cash in assets that won’t diminish in value. However, many people hold assets that they cannot use or access. The financial position of liquidity, use, and control is what allows you to take advantage of opportunities. Your money is accessible to you, can easily be converted to cash, is available for you to use, and is stored where you won’t have loss. When you have savings that meets the LUC criteria, and you apply (K) Knowledge to invest in what you know and control, you get LUCK. Opportunity seeks liquidity. Infinite opportunities are looking for the person who is prepared with savings. When other people call you LUCKY, it’s often because you had liquid, usable cash in your control, and you invested with knowledge. Once we’ve determined whether an asset is, in fact, savings, we can fine-tune the quality of our savings vehicle with a measurement of growth. Compound growth has been called the eighth wonder of the world, because of the exponential growth you see over time. Not only does your principal earn interest, but the increasing volume of interest earns interest as well. One of the requirements to pass the savings test is for your capital to be safe, without losing value. In any case that you have no loss and earn a consistent, positive return, albeit small, it will result in compound growth. However, any losses or negative returns will cancel the compounding. 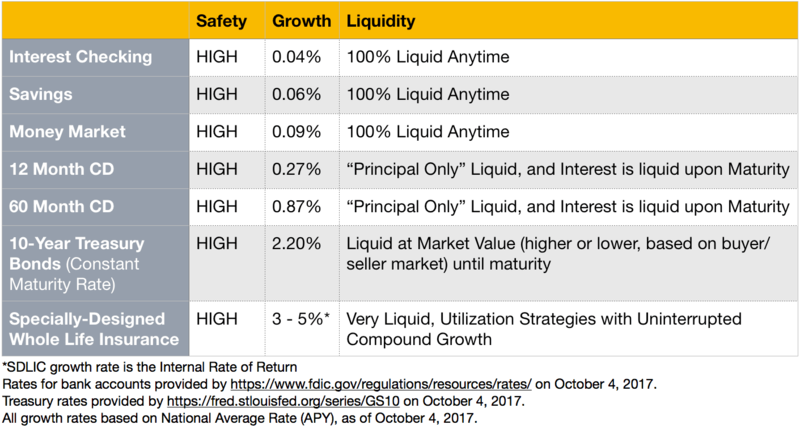 To up the ante on savings, we can dial up the rate of return, as long as we don’t sacrifice safety or liquidity in the process. Let’s walk through some common accounts and help you determine whether it’s savings or not. 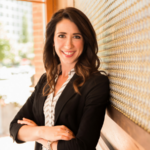 You’ll see how to apply this knowledge in evaluating your accounts to determine whether they pass the savings test, and find where you may have the potential to improve your choice of assets used for savings. What are the best places to put my savings? These types of accounts are often miscategorized as savings. While they can be invested in lower-risk funds or aggressive growth funds, most are invested in mutual funds that hold various stocks. Stocks fluctuate in dollar value, and can even lose principal with negative rates of return. So, you may expect higher growth rates than a savings account, but will sustain unpredictable gains and losses. Let’s say you moved your retirement account to bonds or a money market account to lower the risk. You’d still have the lack of accessibility to contend with. For those under age 59 ½, you’ll want to check on your plan’s “in-service distribution” options to see whether and how you can access your money. If you’re allowed, you’ll pay income taxes if you deferred tax when you put the money into the account. Also, you’ll pay a 10% early withdrawal penalty for accessing the cash before retirement age. If you have a loan provision with your current employer, you can get 50% of your vested balance or $50K, whichever is less. Loans don’t require taxes or penalties to be paid. However, if you have an outstanding loan balance when you leave the employer, the loan requires immediate repayment or becomes a distribution, which is income-taxable to you. When you are of “retirement age,” past 70 ½, you’ll have a required minimum distribution. Additionally, you’ll pay the going tax rate on money you take out at that time. These accounts don’t pass the savings test for safety; they’re not fully liquid or accessible, and they’re not in your control. Because they have the potential for loss, they don’t earn uninterrupted compound growth. Money in these funds are not savings, but investments. Even as an investment, we don’t think they do well to meet the criteria of creating cash flow or true growth, but we’ll leave that for another discussion. Home equity is a tricky one. While many people don’t necessarily approach paying off their home mortgage as savings, it’s easy to view the equity in your home as savings. After all, for many, it’s the one place where they have the most cash. Let’s look closer. Home equity can rise and fall, based on the housing market. This isn’t a “safe” account, and consequently, it cannot provide compound growth. Furthermore, the value of your home is completely independent of how much equity you’ve built up, so it’s faulty thinking to associate your home value as a rate of return on your equity. To access your equity, you’d have to get bank approval, based on your income and ability to repay. This isn’t in your control because it requires a gatekeeper. Based on our criteria, home equity is not savings. Another scenario that causes confusion is that you may have access to capital through a credit card or a home equity line of credit (HELOC). The unused balance on the open line of credit could be used for emergencies and/or opportunities, similar to a savings account. It’s valuable to have as many options available to you as possible. However, having access to borrow someone else’s cash is not the same thing as having cash savings yourself. Having an open line to borrow is not savings. Rather, it’s negative savings. However, limitations on access to capital disqualify it as true savings. A HELOC may withstand a reduction in the underlying value of the home, leaving you underwater. It may be called due, outside your control. The bank does not have an obligation to continue providing that capital access to you. A credit card isn’t a guarantee either. The provider may reduce your credit limit. Any time you use it, you procure a balance which requires future payments to bring you back to positive net worth. And, since it’s not an asset, but a liability, there’s no growth. If there were, it would be in the wrong direction. In this case, you can judge a book by its cover. Savings accounts are true savings. The account is safe, up to FDIC insurability limits. You can access your money, as long as there isn’t a freeze. The big downside is that, while any growth you do earn is compounded, you earn next to nothing. Growth in the ballpark of 0.04% is a far cry from keeping up with inflation alone, let alone giving you growth. Another thing to note here is that, because of fractional reserve banking, bank vaults hold about 10 cents in reserves for every dollar on their balance sheet. If all of the depositors came to cash out their accounts at the same time, there would be a shortage of funds to cover the withdrawals. CDs offer the same bank safety. Regarding liquidity, you can surrender the CD early. In this case, you’d get your principal back, but lose any of the interest growth. You’ll get a slightly higher growth rate, but still under 1% (in today’s environment). Money Market accounts are generally safe, with the caveat that they do have the potential to lose principal. They are liquid but may limit your transaction count. Growth is better than in a savings account but still minimal. Treasury bills and notes are safe because they are backed by the government. You purchase them at a discount and receive the full face value at maturity. They are minimally liquid, as you must hold them to maturity. You have growth only if you do hold it to maturity. Bonds include US Treasury Bonds, municipal bonds, and corporate bonds. The safety of bonds varies, based on the safety of the entity holding the bond. They are generally liquid because you can sell them any time. However, you may have to sell at a loss. You get growth as you receive interest payments along the way, but to access your principal, you must sell at the current rates, which may be a loss. You receive growth only if you hold it to maturity or if you can sell it at a profit. These assets meet many of the requirements to be considered savings. However, there are graduating degrees of how well a tool meets the objectives of an Emergency/Opportunity Fund. These assets don’t provide the ideal liquidity to serve that purpose. Specially designed whole life insurance is a true insurance product with death benefit protection, which also affords excellent safety, liquidity, and growth as a savings tool. Regarding safety, life insurance companies have been historically much less likely to fail than banks. This is primarily due to their conservative, long-term investment strategy and their dollar-for-dollar reserve ratio. In a pure whole life insurance policy, there is no loss of value and no connection to the equity market. The cash value and death benefit only grow, never fall in value. Cash value is liquid because you can convert it into cash with a simple loan request. You use the cash value as collateral in a guaranteed loan from the life insurance company. Once you make the request, you’ll have a check in-hand, usually within a week. Because there is consistent growth with no risk of loss, you earn compound interest. Because of guaranteed interest and anticipated dividends, a policy designed for high cash value will earn approximately 3 – 5% rate of return, tax-free, and net of all costs, over 30 years. And that’s in today’s low-interest, low-dividend environment. With increased interest rates, dividends would be expected to rise as well, improving the net returns. We see life insurance cash value as the ideal place to store your savings after you’re comfortable with how much on-hand and in the bank that you could get to in 15 minutes or less. So how can you make sure savings happens? One of the top reasons why people contribute to retirement plans is that it is easy. They can sign up for automatic payroll deductions, put it on autopilot, and use little mental energy to maintain it. Savings, however, only happens if there is enough money left over. Because it requires mental attention, it often gets forgotten altogether. They’re investing automatically, and saving intentionally, if at all. The ultra-wealthy who’ve transcended the system are doing just the opposite. They save automatically and invest intentionally. For this reason, savings is so valuable that they make sure it’s non-negotiable. As income grows, they spend less as a percentage of net income so that they can save more. In this way, they give top priority to increasing net investible income – the portion of your income able to be saved and then invested – OVER maximizing returns. They have predictable money that they can count on to be there when they are ready to make a deliberate investing decision in the right opportunity. Go back to your definition of savings that you wrote down at the beginning. How have you changed, clarified, challenged it or made it stronger? Maybe you’re in a position with substantial savings. You like safety. You want access to cash. Maybe you’re planning to use it to invest in real estate, your own business, or to start a new business. You want a more efficient tool to use to store your capital. Research savings account alternatives that give you liquidity, use, and control of your capital. We’ve designed a tool to help you start your research. 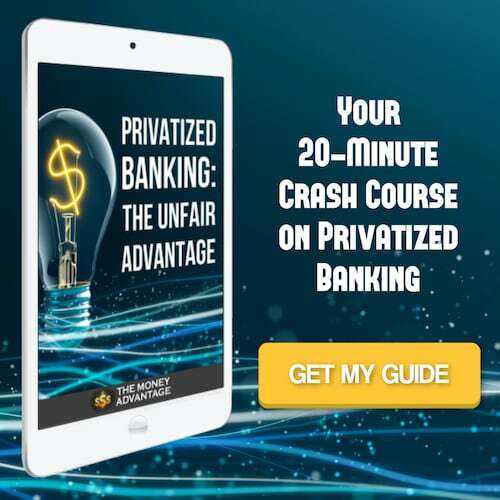 Get Privatized Banking the Unfair Advantage: The Ultimate Guide to How High-Performing Entrepreneurs Increase Returns on Liquid Capital Without Giving Up Access to Cash. It’s your 20-minute, easy-to-read guide to using Specially Designed Life Insurance as an ideal place to store cash. Maybe you’re in a position where you want to start building savings or build more substantial savings than you currently have. Here’s a quick exercise you can do on your own to evaluate your holdings and see whether they are savings or investments? Does this account have the potential to go down in value? If so, it’s an investment. Is it liquid and accessible? If not, it can’t be used as an Emergency/Opportunity Fund. If you are weighted towards money at risk that you can’t use, turn the tables. 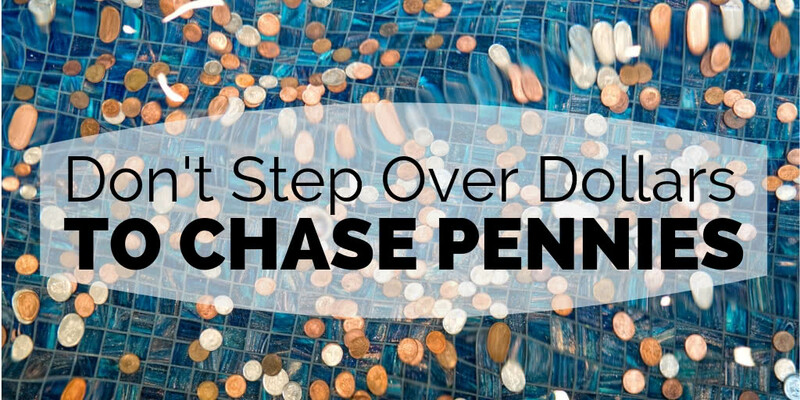 Set your savings to auto-deposit, every paycheck, and be ok staying in cash until not only a good opportunity, but precisely the right opportunity, surfaces. Increase your cash flow with a Cash Flow Awareness Exercise today. What makes investing different from saving? What is the purpose of investing? How do I lower my investment risk? What are my top two investments? Until then … Success leaves clues. Model the successful few, not the crowd! And build a life and business you love.